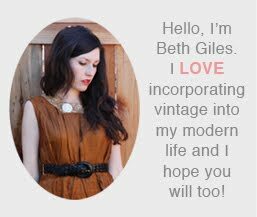 Vintage Clothing Blog | Vintage Wedding Dresses | Salvage Life: What A Wonderful Weekend! I hope you had a lovely weekend, I sure did! Saturday morning, Ruby and I went to the nursery to buy some vegetables and flowers to add to the garden. Everything we grew over winter has gone to seed and we needed to start fresh with some new plants. I kept it simple with the produce this time around, since the baby will be here right around the time of harvest. We bought a mix of lettuce, 4 types of heirloom tomatoes, basil, cilantro, mint and a few new strawberry plants to replace the ones that aren't fruiting anymore. Sunday morning I went to the Rose Bowl Flea Market and scored this amazing french bed for Ruby and some pre-worn Kork-ease platform sandals that I have been wearing since I got them home. The shop was open on Saturday and we had tons of walk-ins, yay! Thank you to everyone who came by and shopped, we were thrilled to have you! Plus, our shop was mentioned in the LA Times Saturday section, yippee! We had a lovely Mother's Day lunch in the backyard, prepared by my fantastic husband and the other non-moms in the fam. It was a relaxing time of conversation and lots of laughter. I am so thankful for my mom, my mom-in-law and for being a a mom to my girls, what joy all those relationships bring me! Hopefully next time we eat in the backyard it will be sitting at this amazing table that Jeff is building for me. I am so excited, could I be any more blessed?! !